Twitter, you ask? Do I HAVE to?! Yes, you do and I’m gonna tell you why. I came to Social Media kicking and screaming in 2009. Being an extremely private person, I was deathly afraid of opening up too much of my life to the public. My friend Angela Shelton just about chained me to a chair and taught me what to do. Dragging my feet and protesting, she made me sign up for Facebook, Twitter, LinkedIn, a YouTube channel, and a Vimeo channel. I knew I had to make the leap of faith because if I didn’t jump on this Social Media train soon, I was going to be dragged down the tracks by the upcoming newbies in the business. Truth be told, initially my main reason for getting on Twitter was to sell my DVD. Much to my chagrin, I quickly learned that Twitter is not a place to sell yourself. I got my head handed to me on more than one occasion by angry Twitter followers who didn’t like that I was trying to sell them my DVD. I thought, “But, you’re following me! Obviously you want to hear what I have to say!” Turns out that couldn’t be further from the truth and that’s not at all what Twitter is about. I decided to sit back and LISTEN and learn. My friend, actor Ben Whitehair, says that in the beginning you should “use Twitter as a listening device, not a megaphone.” Sound advice indeed! Once I stopped squawking about myself and started listening to the folks I was following – a world opened up. I learned that Twitter was a place to CONNECT to my community – a place to learn from those that I’m following, hear their needs, and contribute great content. Since I’ve been in the biz for over thirty years I realized that I have a lot of great info to give. I’ve become quite the “content curator” over the last few years. 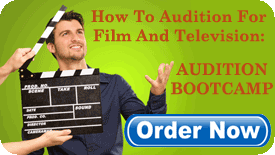 I’m finding some really interesting stuff for actors—from other people’s blogs or other casting directors, producers and directors I know, or open calls that I hear about across the country—and mostly posting useful information that has nothing to do with me but will be helpful to actors. It’s about sharing great content. Twitter is limited to 140 characters, so you have to be concise and to the point. You basically want to give a headline and a link to something. Casting Directors used to be an elusive and exclusive bunch. That business model is outmoded these days and I think you’ve noticed the abundance of Casting Directors who have made themselves available to teach/coach/and advise you on the acting business. You may hear on Twitter that they’re casting a project – but follow their lead and go about the usual channels to procure your audition. Here’s a list I put together of CDs who tweet. You’re welcome! Here’s another list from Wayne Chang (@wonderfulcow on Twitter) of CDs who have websites. Last year when I was casting my movie The Sublime and Beautiful I was contacted by an actress in Los Angeles who had been following me on Twitter and Facebook. She said she could be considered a local hire and were there any roles for her? (We were shooting on location in Lawrence, Kansas and had no money in the budget to bring actors from L.A. except for the lead characters). She sent her demo reel,which was very good, and I sent her the sides for the role I thought she’d be right for along with our script. Within the week we had auditioned her and hired her for a pivotal role in the movie. I had not even known her work before she introduced herself on Twitter. Here’s what she did right: she used good Twitter Etiquette. She was polite and had already established somewhat of a “relationship” with me already on Twitter and Facebook before tweeting her request to me about the role in my movie. A couple of years ago I got a tweet from a woman in Akron, Ohio who was in charge of hair and makeup on a theatre production of A Christmas Carol for a charity which sends kids fighting cancer to summer camp. She was put in a bind by the producer when she was told (two weeks before their preview) that he had NO budget for hair and makeup and that she would have to get it herself…somehow! She tweeted asking for donations of hair and makeup for her play. I contacted her to make sure it was legitimate, then reached out to my makeup connections from my movies and TV shows and in a few days I received a GIANT box from one of my makeup artist friends full of make up, wigs, and facial hair. Another makeup artist friend hooked up the Ohio woman with a deal from MAC makeup. Everybody came together in a matter of days…all through the power of Twitter. OK, so I was now officially hooked!! Hey, this thing really works! I love how a very large community of strangers became a small community of friends, helping each other. Twitter just made my world a little smaller and I loved it! Many people mistake Twitter as their own personal P.R. firm and they talk about “me, me, me” all the time. Isn’t it boring to hear someone talking about themselves non-stop? Don’t repeat the same EXACT tweet. It’s against twitter rules and you could be reported & kicked off for spam. For example I always get these kinds of tweets: “@marciliroff are you casting anything?” Then I check the tweeter’s feed and see that they have asked this same question to 50 people. That is considered spam and I block and report them. OR – if you get a tweet like this from someone you don’t know – “@marciliroff check out this link http://blahblah.com”- BEFORE YOU CLICK THE LINK – check out their twitter feed and you will probably see that they’ve sent this same link to hundreds of people. This is spam and you should block and report them. Think about Twitter (and all Social Media for that matter) as a cocktail or dinner party. Would you barge into a stranger’s house and scream, “Watch my short movie! 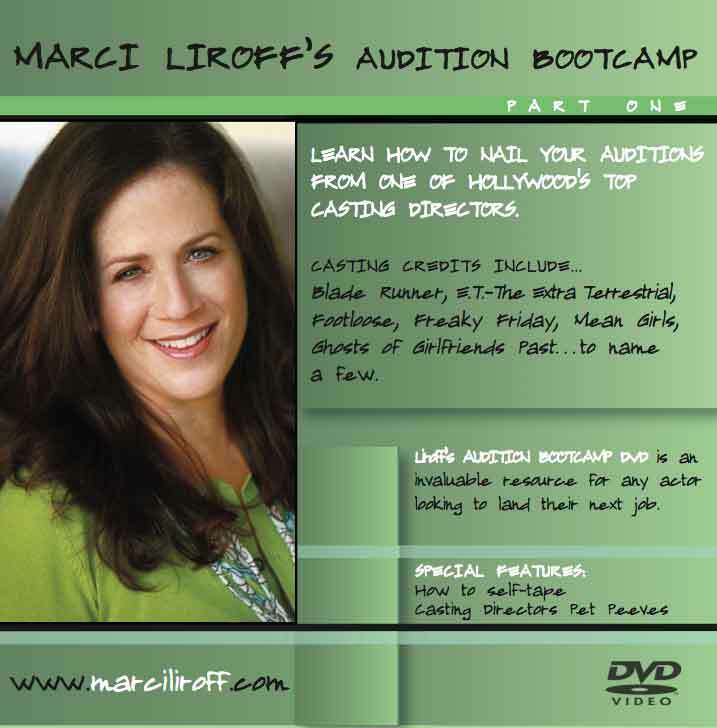 Here’s the link!” So when you’re approaching a casting director or ANYONE on Twitter and in Social Media, get into the conversation and establish a relationship first before asking any favors. It’s just good manners. Another gem I want to share that many twitter users don’t seem to know is this. I blogged about this a few months ago and it is hands down the most viewed blog I’ve written. What Everybody Should Know About Twitters Dirty Little Secret. I won’t go into detail here, but as I mention in the blog, you may need to read this a couple of times to fully understand the concept. Another widely read blog is “10 Things Guaranteed To Get You Unfollowed on Twitter”. In the beginning you’ll notice that you don’t have many followers. Don’t worry, your twitter follower count will grow when you start following people and get in the conversation. You should also retweet (RT) content that speaks to you and that you think others might benefit from. Thank people for RTing your tweets – it’ll encourage them to RT for you in the future. But it’s really not about your “follow” count. It’s about interaction between you and your followers. It doesn’t matter if you have thousands of followers if you’re not responding to their questions or RTing their content. It’s about joining the Twitter conversation and content is king. I’m not interested in following someone who just blasts out tweets and doesn’t interact with their community. If you want to learn from some of the best on Twitter, here are some good people to follow to learn more about Social Media. I’d love to hear (in the comments) how you’re using Twitter (and other Social Media platforms) in your work. Let me know what’s working and what’s not working! Great article – chock full of wisdom. I really like how you emphasize the SOCIAL part of social media. Your story on the video about the little boy made me cry. So amazing that 140 characters (or less!) could ultimately make a profound impact on someone you didn’t know…in another state…going through a really really challenging time. Awesome. ps Thanks also for the CD tweeter list. Thanks for the lists of social media greats and CDs who tweet! There were a few I had not seen yet. I also use MailChimp sparingly to send out a newsletter with new bookings or work rather than postcards to those CDs I have relationships with – better for the environment and I can link to all other social media etc in one concise place! Yes I use MailChimp for my newsletter. “Sparingly” is the key word! Thanks for the tips! Twitter seemed silly to me, but I joined recently anyway. What could I possibly say that would be interesting to the world out there? Now, with the help of this blog, I see that Twitter is a the very least a learning tool. Yes I agree. I thought it was silly at first. Do I really need to know what you had for lunch? But I don’t follow those people! There are PLENTY who post worthwhile if not earth shattering tweets chock-full of information! Thanks for your view on social media/ Twitter. Yes, today’s “real time” world is demanding on our time, but as you pointed out, the sword has two edges. The benefits (boy whose foot was amputated, etc.) of being able to expedite casting process, or any process of film, are exponential. So true William and it’s all in the way that you manage your timeline. Love learning new things from other artist. Twitter offers whatever you’re looking for and you can offer and help others around the world. Yes, it’s pretty addictive, I can attest! But, just as in life, its bounty of benefits are so amazing if you use it responsibly and wisely with integrity. OK Missy – spill!! What stories?! Thank you! I am new to Twitter and still finding my footing on plain old “tweeting” much less using twitter as a networking tool. So my question is, how can I use twitter and other social media as a networking tool and to stay in touch with CD’s I’ve met at workshops without blaring on the megaphone of me? Like you, I am a fairly private person and I don’t want to be intrusive, annoying, or braggy. But how can I network if I’m afraid I’m just bothering people? Really good question Allison and it goes to what I spoke about in my blog post. If you met someone at a workshop or in a meeting, then follow them on Twitter and respond to what they’re tweeting about. Get into a conversation. Over time, they will “know” you from your tweet responses. Then when you come in the next time to audition, you’ll already have a shorthand because you’ve been tweeting to each other. OR – set a Google Alert for that CD. When you see that they’re speaking around town, make sure you’re sitting in the audience. Then you can tweet to them about the amazing gems of information they spoke about at that event. Thanks for that, Marci! I had the same question as Allison, and your answer definitely seems like something easy to do. I need to start forcing myself to get involved in the conversations, instead of just reading about them. It’s not a bad idea to listen/observe and kind of “lurk” for awhile until you get the hang of it! Thanks for your insightful comments Jason. My blogpost got so long, I didn’t include the “dark” or “stupid tweeter” side! Perhaps a part 2!! You are so correct in your assessment. If you have nothing to say that’s nice or positive – stay off of Twitter. If you’re on a show or about to do a show or commercial – be VERY aware of their non disclosure clauses about social media. I’ve known actors that have been fired from jobs because of this. Like Sarah and Allison your advice is spot on. Just started “using my account” earlier in the year after letting it sit for a few years. UGH! I just have to put myself out there! Yes, I admit I was somewhat coerced into “putting myself out there” – but once I found my “voice” it became very natural. Just be yourself. Great stuff, Marci. I, too, came to Twitter reluctantly, but have found it both emotionally rewarding and extremely useful. And hear, hear! for the comment about not duplicating the same tweet over and over! Maybe only 1% of tweeters do that, which is no big deal when you’ve got 300 followers. But 1% of 200,000 followers (what I’m currently at approximately) means one’s timeline becomes clogged to overflowing. And I promise — 75-100 consecutive tweets all saying “Can we meet to discuss my idea?” are going to get someone nothing but rejection. On the other hand, great opportunities have come my way through Twitter, and I’m very appreciative of it and the thousands of nice, polite, informative, and very human people I’ve “met” through it. So true Jim. I find it interesting – in light of the topic – that you’re the first person to sign their Twitter name! Good on ya! No wonder you have 200k followers. I remember signing up for twitter only because Ellen DeGeneres was giving away a tv to new twitter followers. Now I can’t imagine my life without it! I’ve made so many amazing connections, both industry and otherwise, on twitter that have added so much value to my life! A question for you – given what you shared about Twitter, do you think an actor’s Facebook “like” page should follow a similar strategy (ie – a higher percentage of sharing valuable info than of self promotion)? Would love to hear your insights. Really good question Amanda. I think an actor’s FB page is sort of like a baby version of what your website should look like. It actually should be “me-centric” and all about you. That said, you can also share great finds (like blogs and other info that’ll be helpful to others) on your page as well. Thanks, Marci! That’s really helpful. Hi Marci, I am taking the plunge because you have always shared such good advice in the past and I too do not want to be left in social media’s dust. Although I have had a Twitter account for some time, I have not really used it. The biggest challenge seemed to be finding the time and the best way to juggle monitoring my personal and professional email sites, website, Facebook, LinkedIn, Actors Access, Casting About, 800Casting, et al. So, I neglected Twitter. I think I need to shuffle my priorities. As you recommended, I am going into the listening mode at first. Thank you for sharing this and giving us a push! Thanks so much for this article!!! I admit that even though I am an actor I always question whether or not I really need Twitter and Facebook. The past couple of days I have been trying to learn how to use Twitter wondering if its really worth it because to be honest I haven’t understood how it it works. And then, ironically, today I come across your blog. Your advice is awesome and now I feel so encouraged and excited to start using Twitter effectively!! Thanks for the heads up and inspiration to get up to speed! Loved your joke about Ann Curry being a fun dinner guest! It wasn’t a joke! I’m serious! She was great at the #140 conference! Hey, Miss Liroff. @TravantiQuinn here. We’ve spoken on a number of occasions, and I’d like to glean a little more insight from you. I re-edited my reel at 4am this morning, and the film school grad in me always fashions my work into a narrative. Its fun, logical, and I figured it would help engage a viewer into watching the REST of the reel (ie Busy CDs) to complete any semblance of a story. My way of making the isolated puzzle pieces, one compelling picture… albeit a demo reel. The above is not the purpose of a reel, of course, but I found that if you cut the reel a certain way, it could showcase both your acting range, and engage the viewer with some sort of thru-line simultaneously. The aforementioned is a little more difficult to achieve with shorter reels, but I figured my reel had more dynamism with a little narrative. Miss Liroff, I must say, my reel NOW breaches the Marci Liroff 30-60-90 principle by 40 seconds, but it isn’t without good purpose, and I’m hoping that my extension of the reel helped to serve that purpose. I’d like to hear your thoughts, regarding my thought-process; and the reel itself if you have time. I value your opinion, & would appreciate the feedback… as always! Again, a simple inquiry to help satisfy my curiosity. I just wanna learn! I know that this post is kind of old but I have to say, this exactly what I need right now. Actually this entire blog just happened to fall into my lap at the right time in my life and career. I recently (read: a week ago) gave in and signed up for Twitter. Some little voice in the back of my head was nagging me, telling me that I needed to. So I did. You are one of the first people I followed. I can’t say that I fully understand Twitter, and I hesitate to use it but this post definitely helped. Thank you so much for taking the time to share your incredibly well thought out advice. Sarah your comments make me SO happy! I love the timing of it all too!So honored to be one of the first you’re following!! I didn’t understand Twitter either but I started reading A LOT of beginners articles and follow the folks I’ve listed above and they’ve taught me SO much. Good for you!! Jeremy Gordon posted a link to your post “Are You Your Own Worst Enemy?” on his facebook page, which is why you may have noticed a wave of new followers here. I enjoyed reading your writing, continued on to some of your other posts, and am so glad I landed here. I have been toying with the idea of joining twitter. Lately, I’ve been wondering if my networking skills online were as poor as my networking skills in real life. I’m usually shy and hesitant around casting people, agents, managers, or others who might be able to open a door here or there. I’m aware of not wanting to be impolite, or improper, or pushy, and wish it could just happen naturally. At a workshop, or a showcase, or in a friend’s living room during an informal get together. Nothing forced or screaming of salesman. I’m afraid I’m one of those nice guys who finish last. While the type A ambitious people step right up and ask for what they want. I read somewhere that casting people appreciate directness. It’s funny, I love people who are direct with me, but don’t like to be perceived that way myself. The other day, I watched some reality show about models. In one scene, they thought they were out for a few drinks, but were actually being tested on their networking skills. Most of them failed. The guy who won was a bit of a shark and made sure to work the room to his advantage. I found that unseemly. Another guy did well, too, getting business cards and making contacts, but he managed to do it in a way that felt easy. Not as if he was out for himself. More as if he was just glad to learn everyone’s name and make them feel he was interested in who they are and what they did. That model on that reality show made me rethink twitter. Now I read this article of yours and wonder how I could not have seen the sense in it before? What great advice. To just follow people and listen in. Why hasn’t anyone put it that way sooner? Thanks. Next, I’m going to read the links you’ve included here and then open a twitter account tonight. I’m not sure that I’d use the reality show as an example of how you should be conducting yourself in life in terms of networking. Remember, those “reality” shows are all staged and edited so it’s not coming from an organic place. Twitter is not all about networking and tooting your own horn either. As in everything, you have to be you and do what comes natural. But, being shy and hesitant around people isn’t good either. I also don’t think an agent or casting director wants to be hit on in a friend’s living room. Are you in L.A.? There’s an LA and NY Tweet-up that’s a great place to mingle and meet folks in the business who are on Twitter. Here’s a link: http://laactorstweetup.com/ Now get out there and strut your stuff! Haha! Yes, I agree about reality tv, but was happy I could learn something from even that. I found it interesting that the guy who won has done nothing since, but the guy I felt did well has gotten a few IMDB credits, and was the spokesmodel for Papi. Good for him. Really, even if he was in some horrid reality show, he managed to come across well. I was once invited to a Landmark meeting in a friend’s living room. It’s kind of a cult thing. Four or five of us had been lured in for the sales pitch. I only went because it was the roommate of a friend. One of the other guests was an agent, and honestly, I think he was relieved to have the glassy eyed Landmark guy interested in getting something from him, other than his business card…. Thanks for that additional link. I’ll look it up. I’m not sure I understand your comment. I didn’t say anything about begging strangers to “like” your page. I’m suggesting that people “get in the conversation” on social media and interact and how useful that can be. And yes, unplug and get out there face to face!